Morester Children’s Home is a Christian Faith Based Organisation situated in the town of Ladysmith in Kwazulu Natal in South Africa. 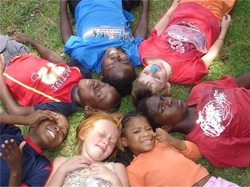 We offer residential care to children in need. We are a branch of KZN CMD(NPO number 009-231) that renders a variety of welfare services in Kwazulu Natal. It is the vision of Morester to give our children a home for today and a future for tomorrow. We strive towards the vision by caring for our children in a safe environment so that they reach their full potential and live as well adjusted adult in society to the honour of God. Morester can care for 150 children that were removed from their families and circumstances by a court order because it was not safe or healthy for them to live there anymore.